A winter holiday with the family is something everyone should enjoy. The little ones can’t wait to try their first turns on skis, older kids and teens are excited to explore the fun park, and parents look forward to endless ski runs and sunbathing in front of cosy mountain huts. Was there anyone else? Of course, Grandma and Grandpa want to be part of the family holiday as well. Whether they join the fun on the slopes or would rather go on relaxing winter walks - everything is possible in the Bad Hofgastein family resort. These kinds of multi-generational family holidays are what make the Hotel Bismarck in Bad Hofgastein a success! Even more so because we have another extra for families: the Angertal Ski Centre. Built at the entrance to the Gastein ski area, it provides a connection to the Schlossalm and Stubnerkogel ski areas, making it a popular meeting point for winter holidaymakers of every kind. And it’s perfect for families who have to accommodate a variety of interests. The Ski Centre is only 10 minutes away from the Hotel Bismarck in Bad Hofgastein. All generations find their place in the Angertal Valley, which is part of the ski area between Bad Gastein and Bad Hofgastein. The free ski bus takes guests there to enjoy skiing every day on request. In the kids park you’ll find a widespread network of beginners’ slopes with intelligently-designed conveyor belts, a fun ski carousel and a wide practice run with a tow lift. This is also a great place to go tobogganing. The Angertal Valley is home to two ski huts, which can be reached by pedestrians as well as skiers, making them an ideal meeting point for the whole family. From here, you can dive right into the alpine ski paradise and explore different ski areas in the Gastein Valley. Grandma and Grandpa watch the youngsters make their first turns and at noon the whole family meets in one of the ski huts - that’s what a successful family winter holiday is like! 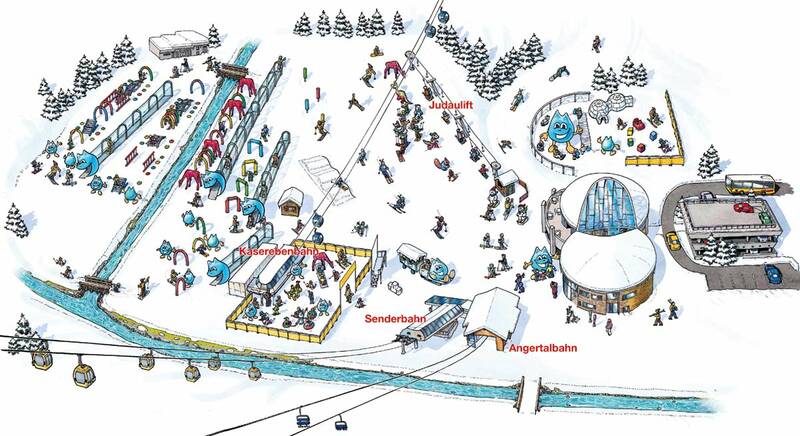 In the Angertal Ski Centre you will also find various facilities, such as ticket information, a sports shop with service and rentals (Bismarck Hotel guests receive a 10% discount), a ski school and a children‘s area. A cosy bar is the ideal place to take a short break. Additionally, there is a gallery with a panorama terrace upstairs, which opens up to a breathtaking view of the ski slopes around you. We don’t see ourselves as a children’s hotel but we welcome families spending their winter holidays with children warm-heartedly. Get to know the best family ski resorts around Bad Hofgastein and enjoy the many possibilities that will make your winter holiday unforgettable. 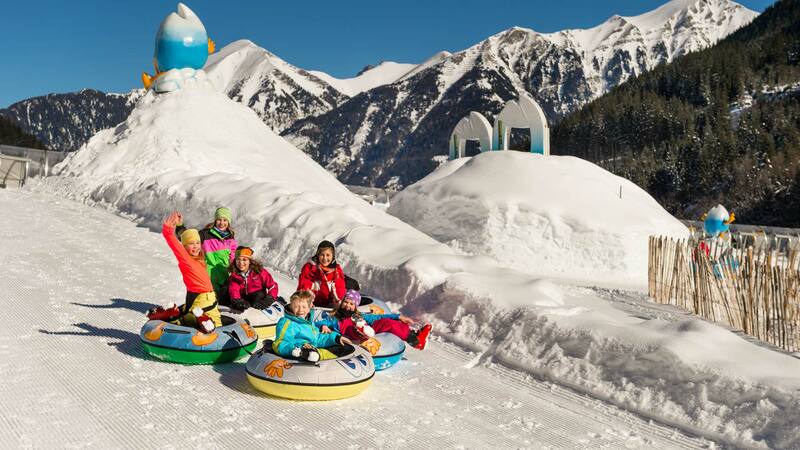 We are the charming starting point for all winter activities during your family holiday. Enquire with us today and check to see if your favourite room is still free! This year, follow your heart to the 4-star superior Hotel Bismarck for your family holiday. Your children’s faces will sparkle as brightly as the snowflakes! 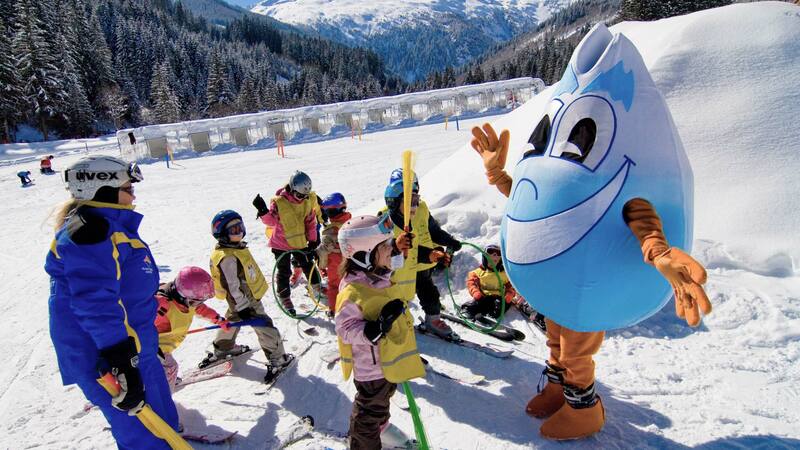 3 x 1-day kids ski lessons or 5 x half-day kids ski lessons.